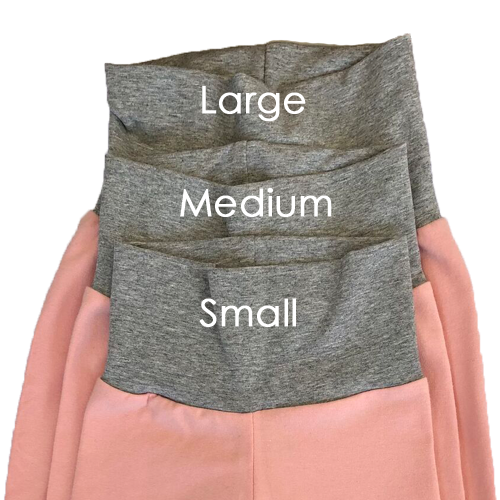 All cloth diaper parents can tell you one of the biggest frustrations with diapering is finding pants that fit your baby. Diaper Junction has partnered with SkyyLine to solve the problem! 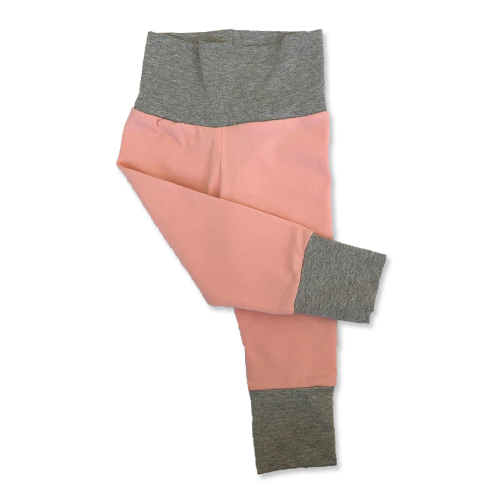 SkyyLine Grow-With-Me are adjustable pants that grow with your baby. Gentle waist and ankle cuffs fold to create a custom fit. The rise of the pant is cut generously to allow for coverage of your little one's cloth diaper. Your baby will be able to move freely thanks to the 4-way stretch. Proudly made by hand in Norfolk, VA, USA. Bought the large and it really did fit at 12 months (disclaimer: I have a kid in 80th/90th percentiles for weight and height). Cute! Glee color in the picture is true to life. Excited to see how it fits as she grows. My baby loves these verse regular baby clothes. They fit around his cloth diaper perfect. They are a must have. Pants that have enough room in the tush for the fluff? For real? 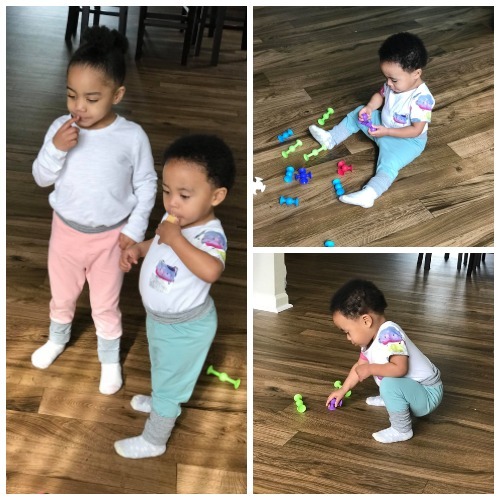 I had been using various baby leggings as I couldn't find any pants that worked (too small in the rear or too large around the waist and the legs). I have a very hefty 18 month old and the 1-4 works perfectly. The cuffs roll up so that the length isn't an issue. The band is stretchy in the waist. The top band is like a tall yoga waist, so you can roll that down/leave up as you so desire. They've passed the test here - plenty of taking on/off for changes, trips through the washer and dryer and they still look brand new. My daughter loves them - she always took off the leggings but she will bring me a pair to put on the morning. Pants that a child is willing to put on? I'm in. We LOVE our Skyyline grow with me pants. They are sooo stretchy and soft and fit ANY bum. We can't get enough.